Visual, 19” x 17.5”, approx. Description: A Carol Tate Original Hand Stencil Printed Design Influenced by French and Italian 17th and 18th Century Motifs, as well as Spanish Mediterranean Baroque. Eco Friendly Reclaimed Silk Doupioni is Over Dyed in Apricot and the Stylized Floral Motif Hand Printed in a Vanilla Cream. A Pair of Decorative Pillows Which Evoke an Olde World, Euro Flavor. Welt Cord Detailing is in a Creamy Silk Taffeta. 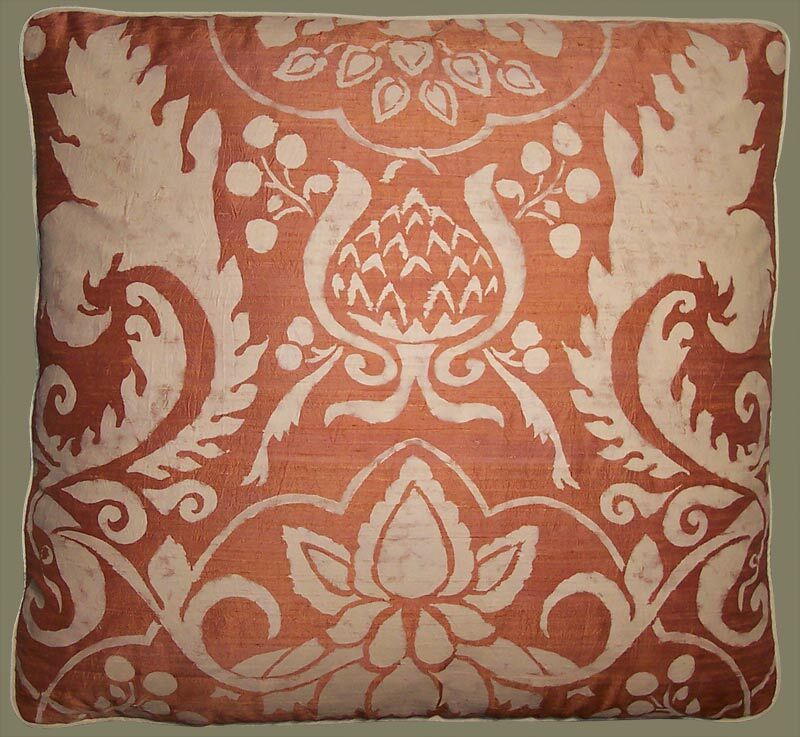 A One of a Kind Pair of Artisanaware Throw Pillows with Feather Down Inserts, and Hand Stitched Closure.